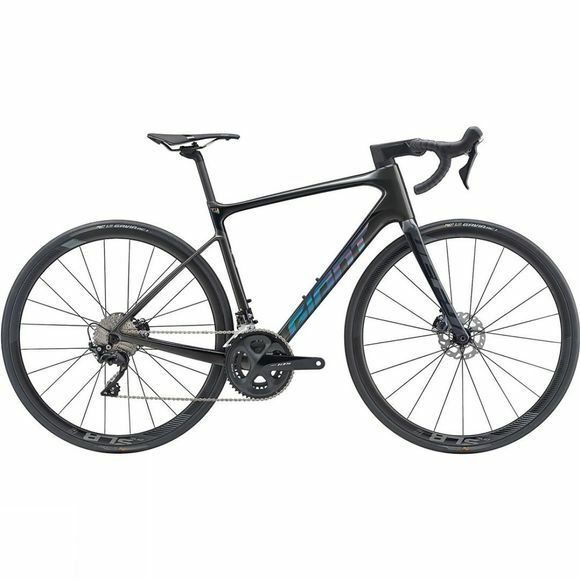 The Defy Advanced Pro 2 2019 from Giant is a smooth, superlight road bike built for compliance and endurance. From Gran Fondos to epic solo rides, this new, reengineered Defy Advanced Pro represents the pinnacle of endurance road performance. This high-performance frameset is handcrafted with Giant’s Advanced composite and specifically engineered for endurance road riding, delivering a smoother ride quality and less fatigue on long rides. With the perfect blend of stiffness and compliance, it delivers a smooth, fast ride quality for your longest, hardest rides. Its innovative technologies include a D-Fuse composite seatpost and Contact SLR D-Fuse composite handlebar, specially shaped cockpit components that work as a system to add compliance and reduce road shocks and vibrations. The frame is also integrated for disc brakes, with flat mounts and 12mm front and rear thru-axles, plus clearance for high-volume tyres up to 32c. This creates more consistent braking power for better control, even in wet weather and rough roads. The oversized and tapered OverDrive 2 steerer tube boosts cornering precision, while the MegaDrive downtube and PowerCore bottom bracket deliver precise handling and class-leading pedalling efficiency. Endurance road geometry, added tyre clearance (up to 32c) and disc-brake integration allow you to tackle a variety of roads and conditions, from smooth pavement to rugged backroads and mountain passes.